Taylor Twellman reacts to LA Galaxy's decision to buy out Giovani dos Santos' contract and discusses how it could affect potential MLS rule changes. Check out all 41 goals in Major League Soccer's opening weekend, including Zlatan Ibrahimovic's header, Adama Diomandé's last-minute winner for LAFC and more. 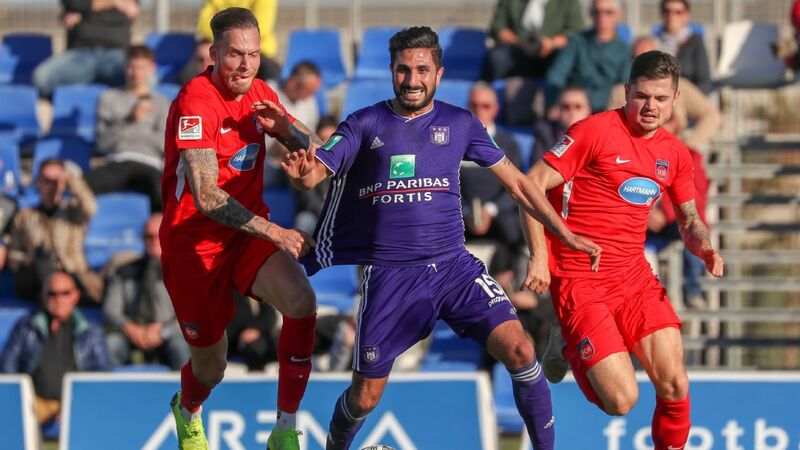 U.S. international midfielder Kenny Saief is in the process of finalizing his loan to FC Cincinnati from Belgian side Anderlecht, sources have confirmed to ESPN FC. One source indicated that Saief is traveling to Cincinnati and that general terms on the loan have been agreed to. All that's left to complete the deal is agreement on a few minor details, as well as Saief passing a physical. Lazar Markovic's potential move to Anderlecht has fallen through, a source has confirmed to ESPN FC. Liverpool agreed a £2.9 million deal with the Belgian side -- where he spent the second half of last season on loan -- but the player failed to agree personal terms prior to Friday's European transfer deadline. The winger had been free to leave Liverpool all summer, with his Anfield contract due to expire at the end of the season. Leander Dendoncker made one appearance in the World Cup for Belgium. Wolverhampton Wanderers have continued their summer spending hours before the Premier League transfer deadline by finalising a loan with Anderlecht for midfielder Leander Dendoncker. Dendoncker, 23, will move to the club next summer on a permanent deal. He is the sixth signing for Wolves and will be available to make his debut in the club's opener against Everton on Saturday. It is rare these days that a transfer comes like a bolt rom the blue, surprising fans and the media, but the unveiling of Knowledge Musona by Belgian side Anderlecht on Wednesday did just that. The Zimbabwe international had always been set to leave KV Oostende in this transfer window, having been such an impressive performer for them in the last three-and-a-half seasons. Anderlecht striker Henry Onyekuru, on loan from Everton, is set to make his first senior appearance of 2018 as he continues his recovery from a knee injury. Onyekuru, 20, who joined Everton from Eupen last summer and was then sent to Anderlecht, has been sidelined since December after surgery on damaged ligaments.